The most entertaining encounters in the 2017-18 Premier League season have all featured Arsenal. No, that is not a compliment. Be it the 3-1 loss to Manchester United at home, the 3-3 draw with Liverpool at home, the 4-3 win over Leicester City on opening night, or Wednesday night's 2-2 draw with Chelsea, the Gunners have been a constant when it comes to entertainment in big matches. A match that provided end-to-end action saw a 92nd-minute equaliser from Hector Bellerin, a sweet half-volley that made amends for the penalty he conceded earlier in the game. That, however, was not the last piece of action from the Emirates Stadium, with Alvaro Morata shooting straight at Petr Cech after running through. The rebound was rattled onto the crossbar by Davide Zappacosta, thus bringing to an end what was a to-and-fro encounter. Antonio Conte would look back at the game as a missed chance to try and stick close to league leaders Manchester City as his team fell back to third in the table after jumping above Manchester United following the previous game. 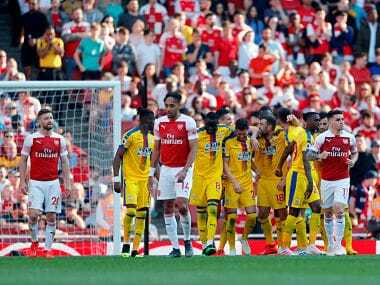 Despite creating multiple chances to put away the Gunners, their wastefulness in front of goal came back to haunt them. Morata was the chief culprit as he fluffed at least three very good goalscoring chances and was pretty pedestrian with his hold-up play as well. The Spanish frontman has now scored only two league goals since September and looks shorn of confidence. However, the result was also decided by the home side's inability to defend well — their Achilles heel, which is by now common knowledge to the rest of the Premier League. Over the course of the festive period, they have conceded eight goals in four matches. Their back four was all over the place against Liverpool in their 3-3 draw, was exploited time and again by Crystal Palace using Wilfried Zaha and then proceeded to concede a late goal against West Bromwich Albion. Shuffling between a 4-2-3-1 and a 3-4-3 has not helped their cause either, but defenders at the highest level cannot expect to get away with making schoolboy errors time and again. The Blues had no problem opening the Arsenal defence up on multiple occasions, with Hazard and Morata running against the Gunners' centre-backs in tandem, making intelligent runs beyond the last man to exploit their clear advantage when going one-on-one. Shkodran Mustafi, playing as the middle centre-back, with Callum Chambers to his right and Rob Holding to his left, was too often caught off-guard by the runs of the Chelsea forwards to be able to cover effectively. The fact that they only let in two goals despite having conceded 19 shots was down to a combination of Cech's solid performance and the away side's profligacy in front of goal. Conte was very smart with his substitutions as well, bringing on Zappacosta to combat Victor Moses' inability to stay with the impressive Ainsley Maitland-Niles on the defensive side. That plan worked to perfection, and it was Zappacosta's contributions on the attacking end that changed the game. The Italian faced up to the Arsenal youngster and got past him with ease, cutting the ball back for Marcos Alonso to finish past Cech. None of the home side's three central defenders picked up his run, bringing into question the formation again. Alonso is now the highest scoring defender in Europe's top five leagues with six, and is a great threat going forward and with his free-kick ability. 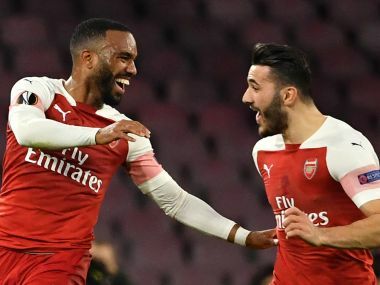 Arsenal themselves had a great game going forward, with the triumvirate of Alexis Sanchez, Mesut Ozil and Alexandre Lacazette impressing with their swift interplay and movement. Though none of them scored the goals, they were responsible for carving the Blues' defence open on multiple occasions, with Thibaut Courtois having to thwart them on multiple occasions. 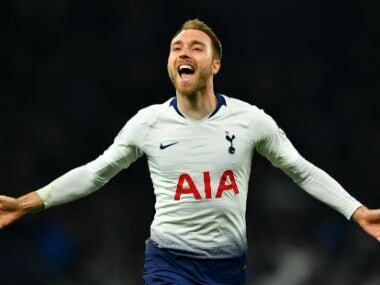 The Belgian was at his best, producing a brilliant reaction stop to keep out Sanchez, with the ball ricocheting off both posts before it was claimed by the goalkeeper. He also saved shots from Lacazette twice, using his reach and size very well. Both teams played their versions of 3-5-2, with Chelsea using the midfield trio of Tiemoue Bakayoko, N'Golo Kante and Cesc Fabregas to try and contain the Gunners, while playing on the counter all the time. Fabregas orchestrated all their attacking play, dovetailing smartly with Hazard and Morata, before setting up multiple chances with his composed short and long passing. The former Arsenal captain was booed on a couple of occasions but departed to applause from both sets of fans, recognition of the fact that he was the most influential player on the field. On another day, the Spaniard would have accrued as many as four assists with better finishing from his teammates. To combat Conte's 3-5-2, Arsene Wenger modified his 3-4-3 slightly, with Sanchez pushed up top alongside Lacazette. This gave Ozil a free role and the German was extremely impressive, dropping back deep to pick the ball up and run at the Blues' defence looking to find the right pass. His roving runs and smart passing led to multiple opportunities for the home side and he completely outplayed Bakayoko, who couldn't cope with Ozil's movement and ball control. There is always some sort of controversy when these two teams meet and it was no different this time around. 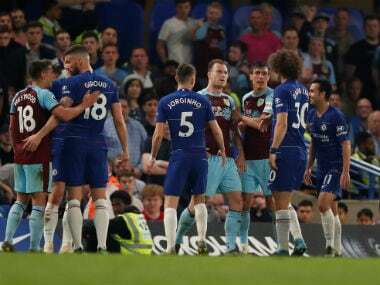 The first was the referee's decision to not book Jack Wilshere for simulation, after he stretched out his leg and went to ground after initiating contact with Andreas Christensen. The midfielder made the most of any contact on offer and having already been booked, should consider himself lucky to not have been sent off. The other moment was a bit more pivotal, with Hazard going down inside the box after slight contact from Bellerin. The Arsenal man was naive to dangle his foot out to try and win the ball in that manner, but it did appear that the Belgian made the most of the kick from the right wing-back. The Chelsea talisman dusted himself off before calmly converting the penalty. However, there was a lot of outrage from the Arsenal section, with Wenger going on to say that the penalty was a farcical decision, and that he “expected it”. The contact might have not been enough for the exaggerated dive produced by Hazard, but in today's game, if there is contact inside the box, players have every right to go down. 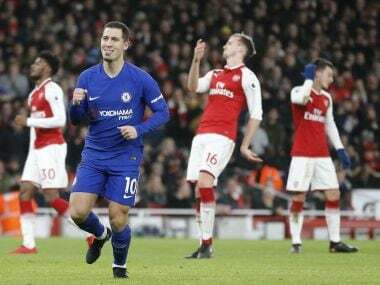 As is the norm, Hazard was the best player on the pitch against Arsenal, producing six key dribbles and creating a gilt-edged chance for Fabregas, apart from constantly running at Arsenal’s defence. He was at his penetrative best and toyed with the defence all night long. His contribution was key in an entertaining London derby that both managers would look back at as points dropped rather than gained, with Arsenal's defensive frailty and Chelsea's wastefulness in attack shining through.